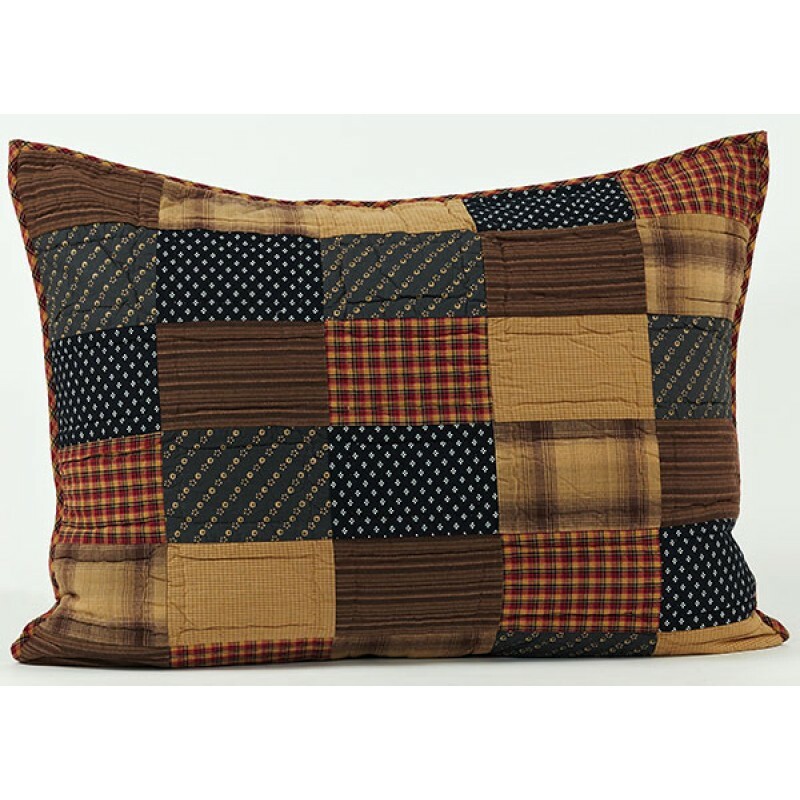 This handmade quilted sham is the perfect accent to any bedroom decor. 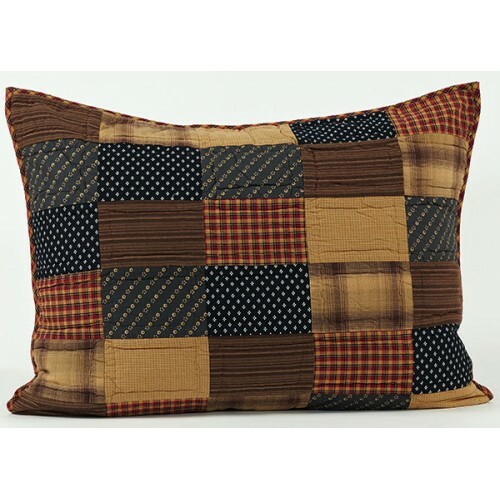 In true country fashion the sham is a patchwork design with warm country colors. The sham is 21" by 27" and has three buttons down the backside.